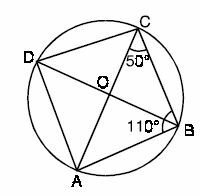 Q 2: Find angle CAB. 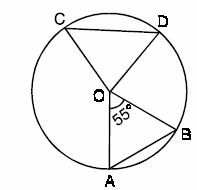 Q 3: A rectangle is 8 feet long and 6 feet wide. 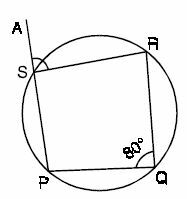 If each dimension is increased by the same number of feet, the area of the new rectangle formed is 32 square feet more than the area of the original rectangle. By how many feet was each dimension increased? Q 4: You are selected from your school to participate in chess a game being conducted in another school. You cycled to reach that school as follows: From your house you cycled 8 km to the north and then 5 km to east and then 4 km to the north. How many km did you peddle to reach the other school ? Q 7: A School had a pole of height 32 feet erected for hoisting flag during annual sport day events. Due to strong gale, top of the pole broke and fell at a distance of 16 feet from its foot. At what height above the ground did the pole break? 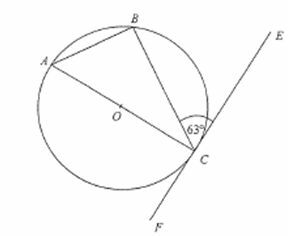 Q 8: Find angle ASR.